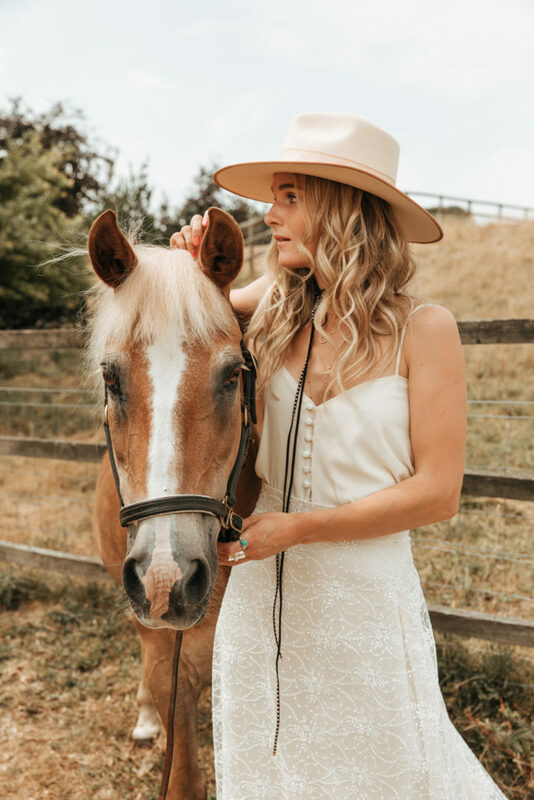 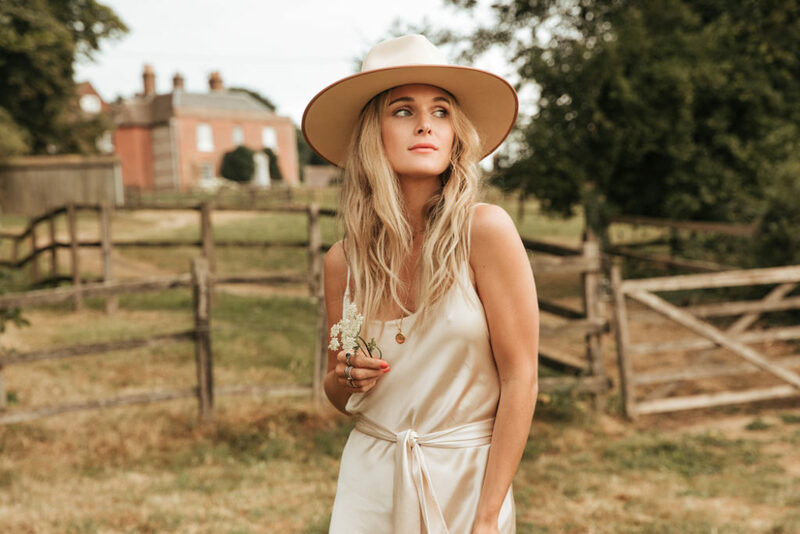 Inspired by country glamour and the Nashville, Tennessee music scene, ‘Islands in the Stream’ is the brand-new collection for 2019 by design duo Belle & Bunty. 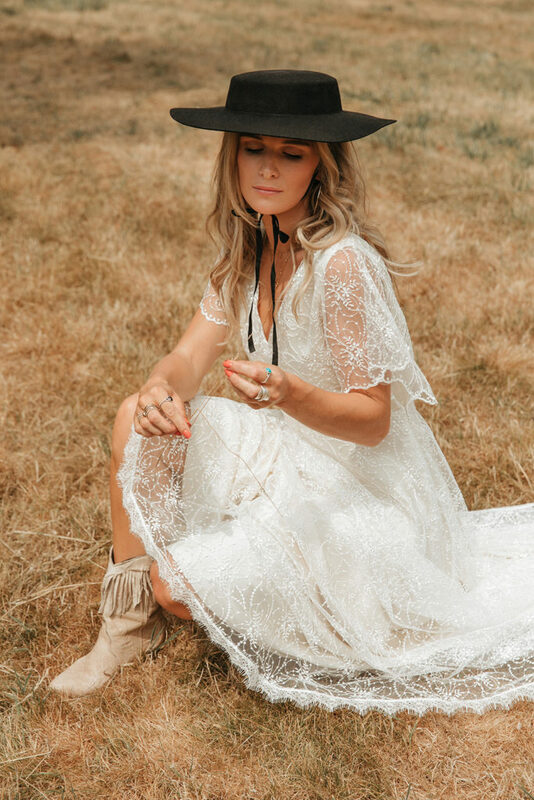 From its humble roots around the campfire to the glitz and glamour of its biggest stars performing at the iconic Grand Ol Opry country music venue, this collection pays homage to those heartfelt love songs that beckon the great outdoors and the powerful independent women that wander across them. 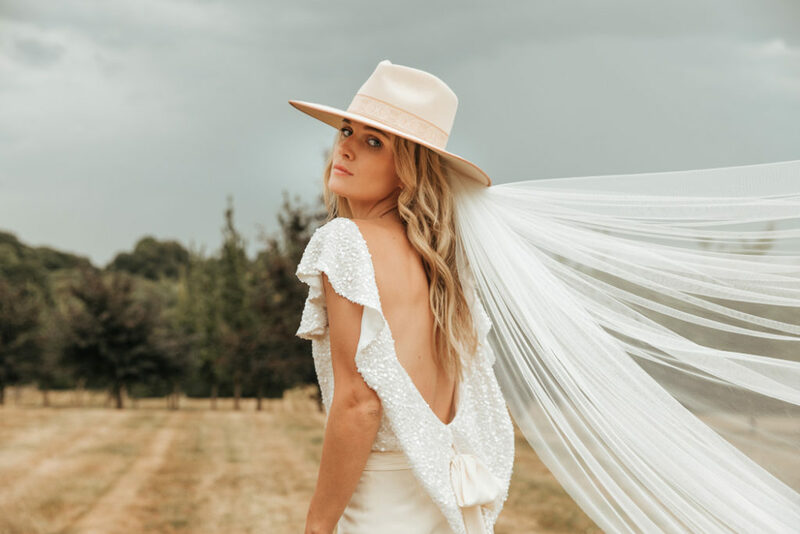 ‘Islands in the Stream’ sees the designers bring to life their most dazzling and embellished collection to date; think sheer dresses dripping in translucent sequins, dainty floral lace and plunging backs crafted with sumptuous crepe back satin. 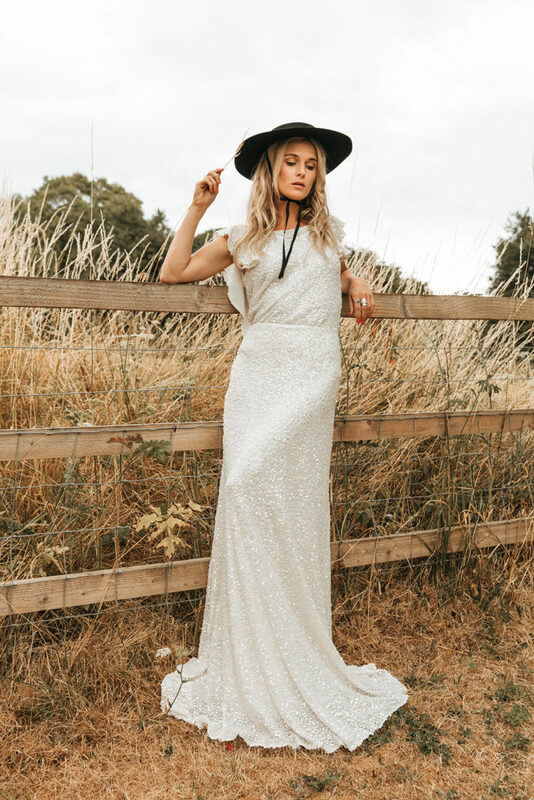 Highlights from the collection include: the Evelyn Dress created with shimmering sequins over a double layered satin under dress. 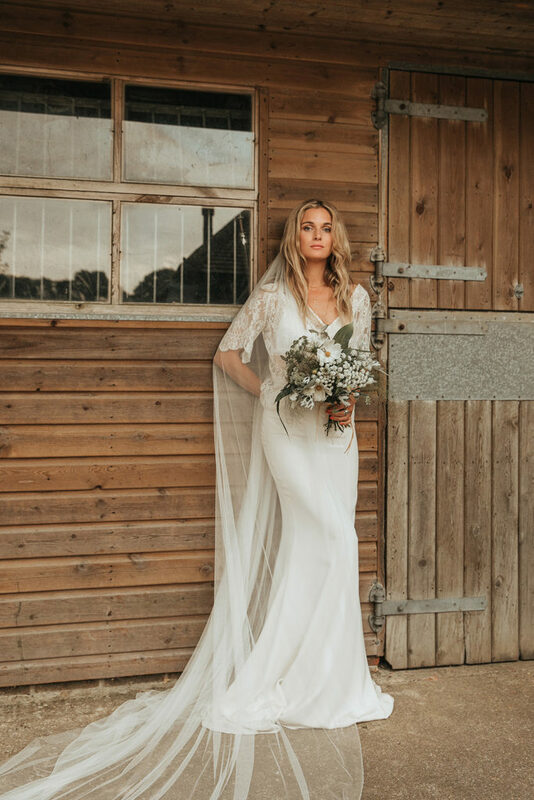 The signature godets in a sheer tulle make this a dreamy and luminous piece. 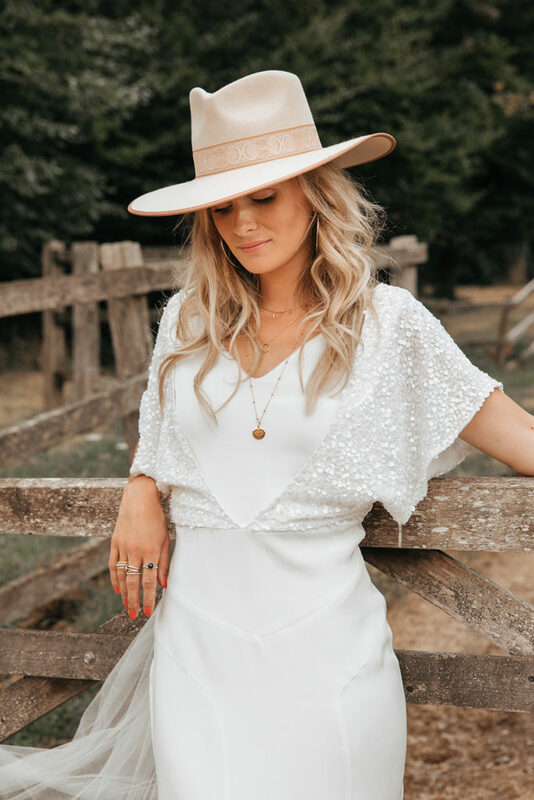 From its demure neckline and delicate button details to its plunging seductive back, the effortlessly chic and sophisticated Thelma blouse is a ladylike and scandalous all-in-one. 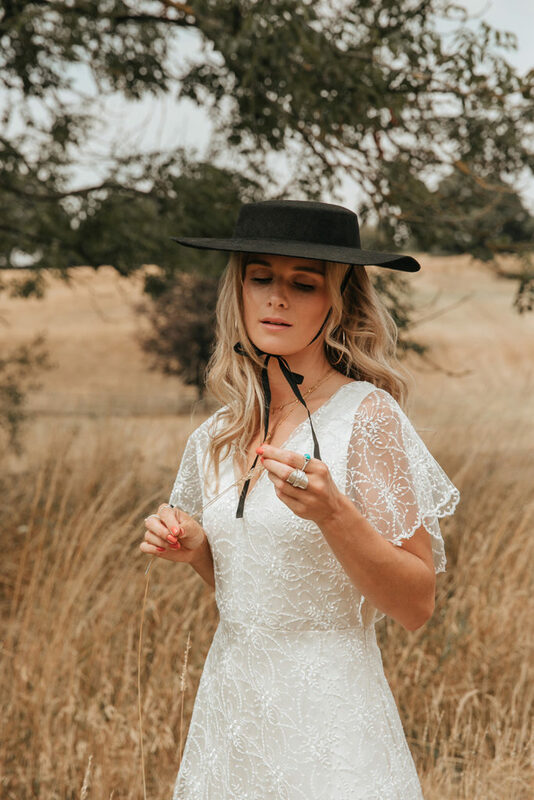 The Cassidy Dress epitomises femininity with its soft capped sleeves and delicate flower field lace, complete with a warm cream satin mid-layer that glimmers through the ivory filigree lace. 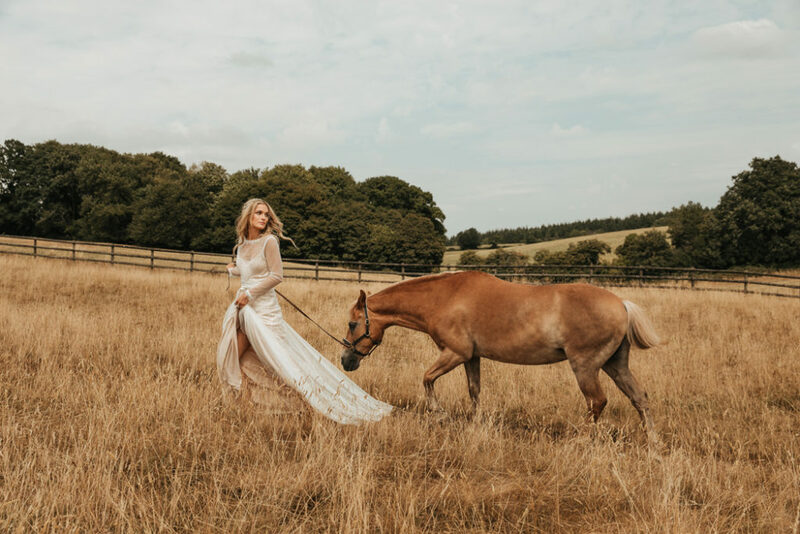 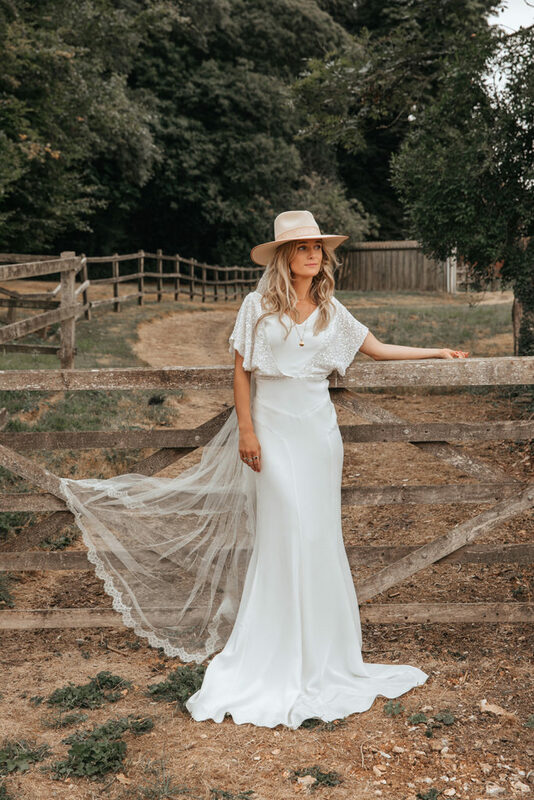 Belle & Bunty continue “Our aim was to set the glitz of the new collection against the beautiful rustic countryside with tumbling fields, horses, stables and ominous skies as a back drop. 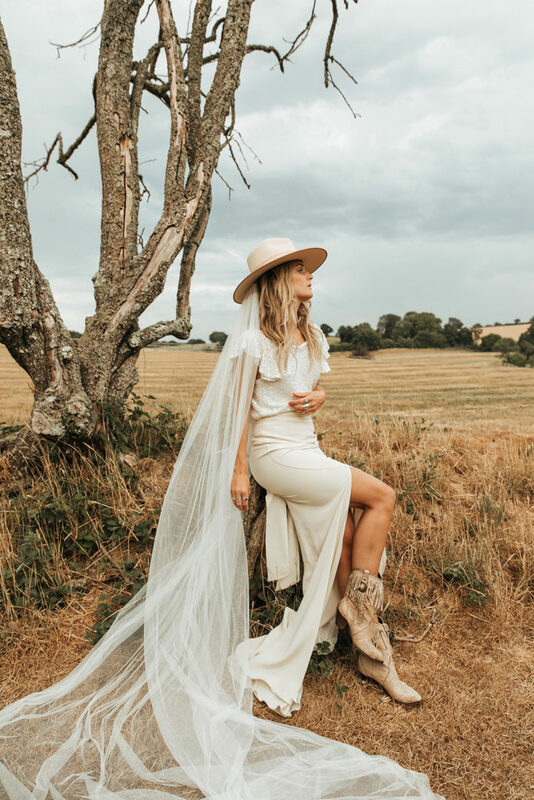 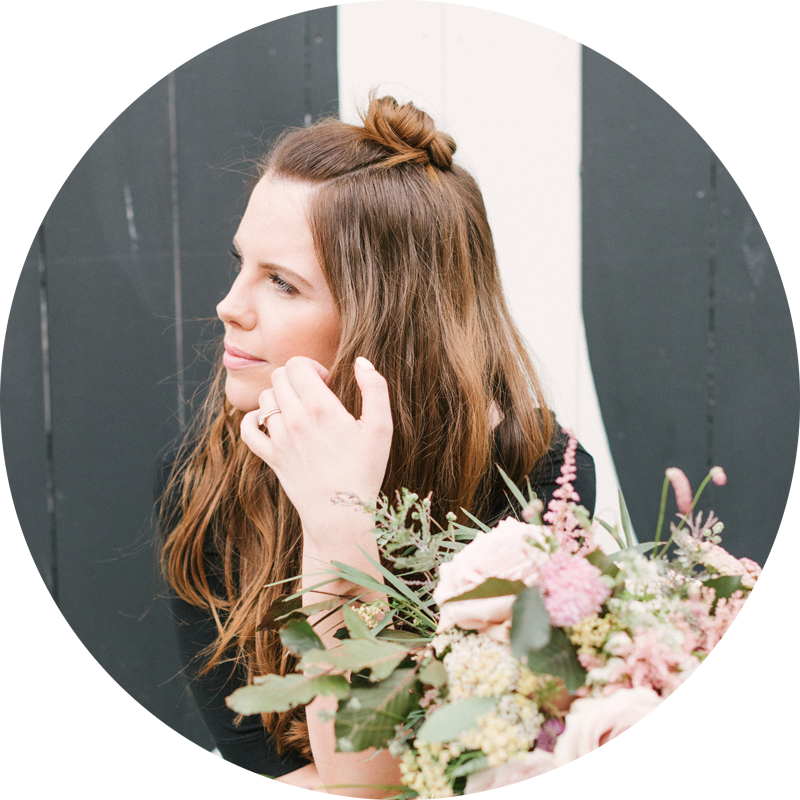 The Belle & Bunty bride takes her party with her where ever she may roam, exuding confidence, strength and downright sass with her wedding dress. 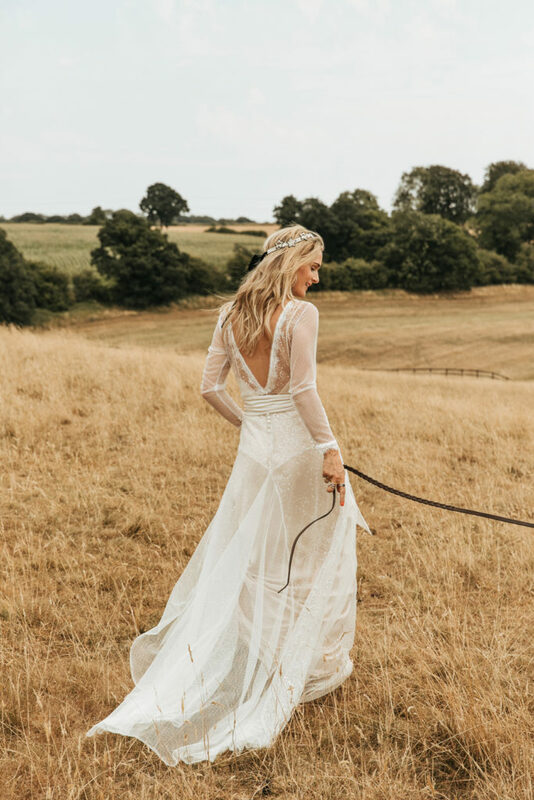 The collection is manufactured solely in the UK using skilled British tailors and seamstresses to create their dresses. 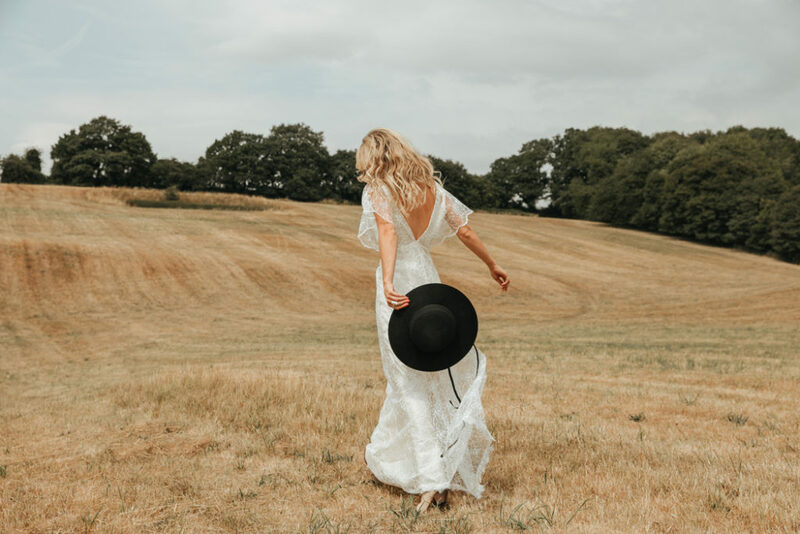 Their workshops and boutique are located in London so they keep their foot-print as low as possible and they buy all their fabrics from UK suppliers. 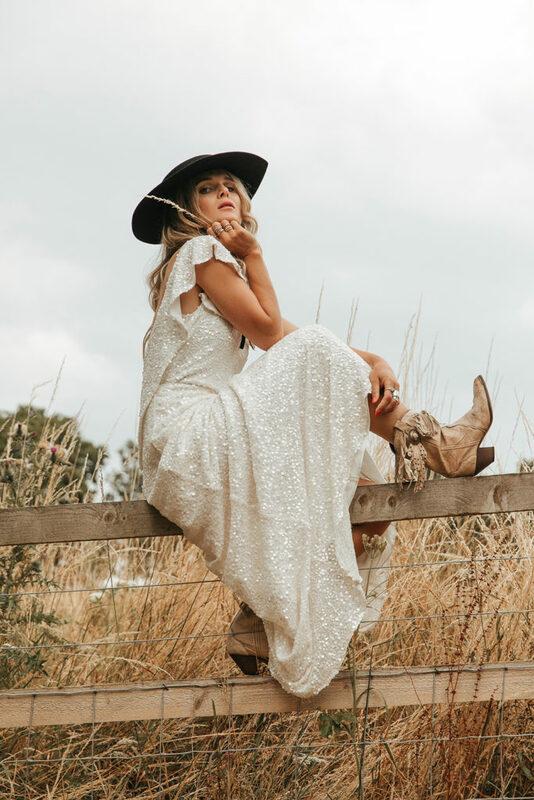 Their dresses are Made to Order therefore they hold no stock – they only make dresses when there are orders – this keeps their wastage low and their fabric consumption economical. 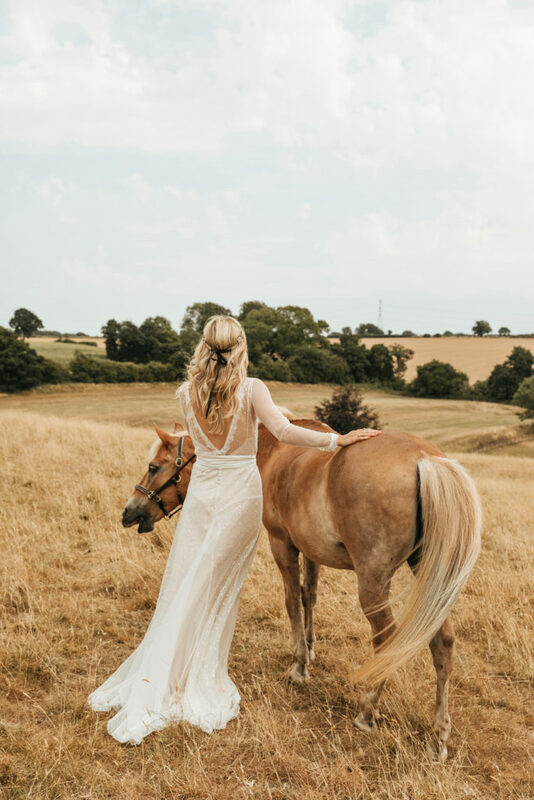 They use only pure silk for their dresses. 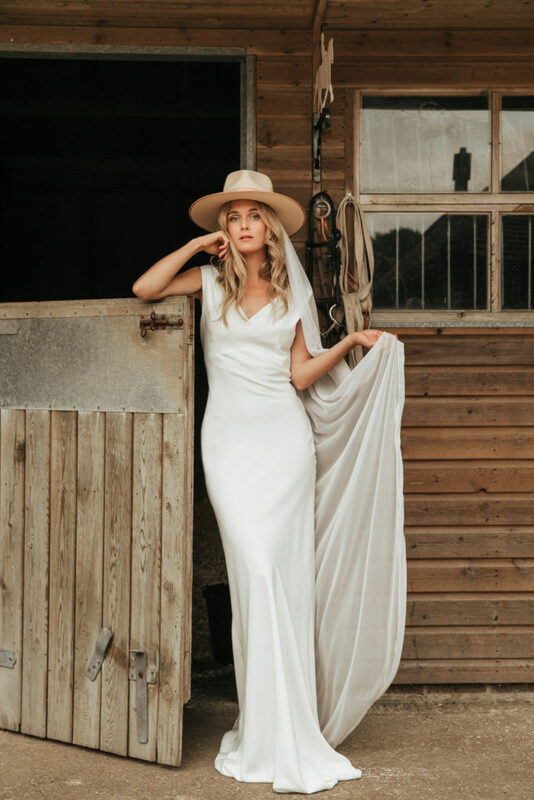 They use pure silk linings too which make sure you feel as cool as you look. 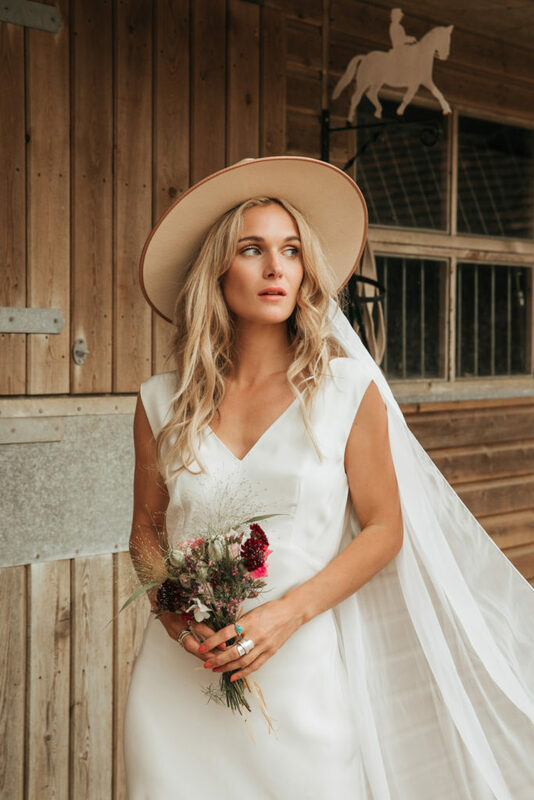 Belle & Bunty are also proud to be able to offer the majority of our dresses in Vegan fabrics. 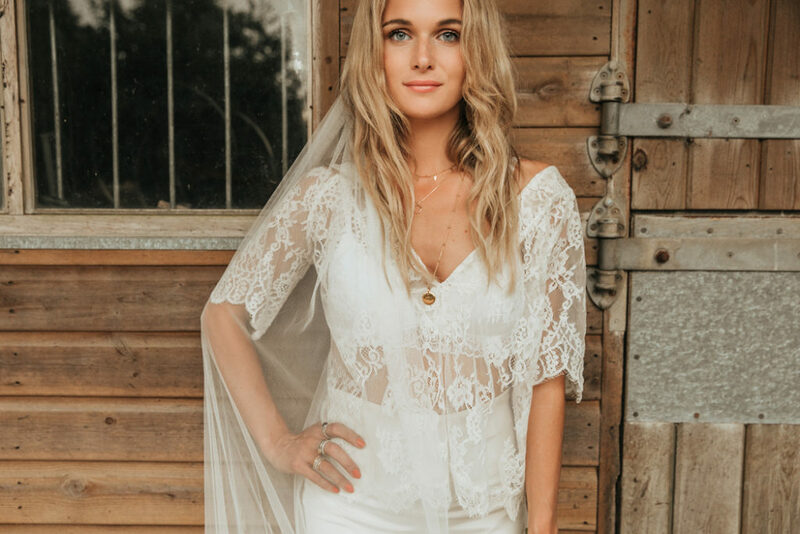 For more information visit www.belleandbunty.co.uk and to make your appointment with Belle & Bunty call 020 7267 3322 or email shop@belleandbunty.co.uk.